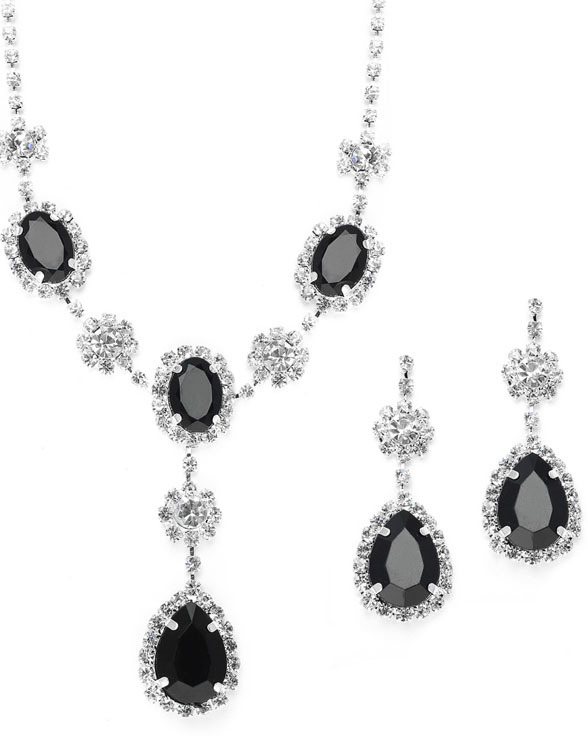 * Mariell's best selling silver rhinestone necklace & earrings set features genuine crystal rhinestones with bold color splashes of Jet black faux crystal teardrops. * Our rhinestone necklace set comes in assorted colors & is great for bridesmaids or prom at a super low wholesale price! * It has an adjustable length necklace to accommodate plunging necklines or plus size customers.